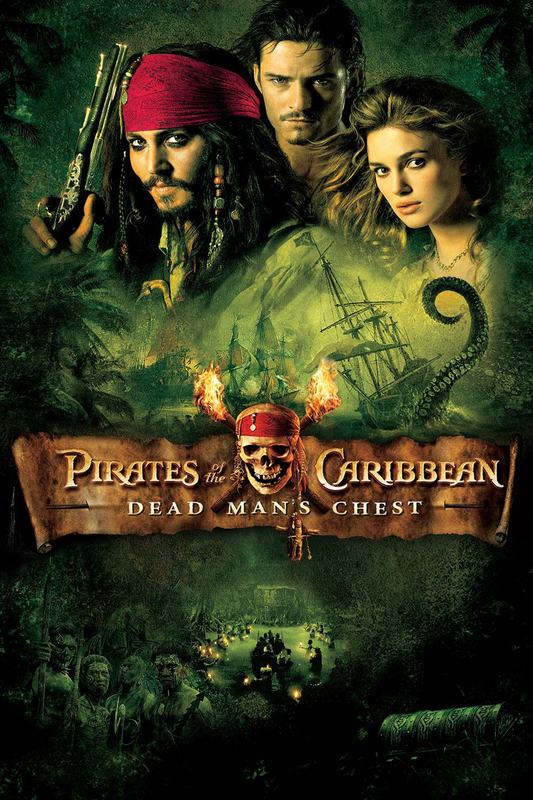 Captain Jack Sparrow (Johnny Depp) races to find the heart of Davy Jones (Bill Nighy) to avoid succumbing to Davy Jones’ Locker while Will Turner (Orlando Bloom) and Elizabeth Swann (Keira Knightley) search for Jack to serve their own agenda. Dead Man’s Chest loses some of the fun seen in The Curse of the Black Pearl (2003). There’s still moments that are delightful, like the sword fight on a giant wheel between Sparrow, Turner and Norrington (Jack Davenport). While that sequence leaves you with a huge smile on your face, there definitely isn’t as many laugh out moments compared to the first film. That’s in part to how the main trio spend pretty much the first hour apart from each other, or as a duo and when the third arrives, someone else disappears. There’s still the other members of Jack’s crew like Gibbs (Kevin McNally), Pintel (Lee Arenberg) and Ragetti (Mackenzie Crook) to add to the dynamics but when the main trio’s not together for convoluted reasons it does drag the film down a bit. Convoluted is a good way to describe the plot of Dead Man’s Chest. 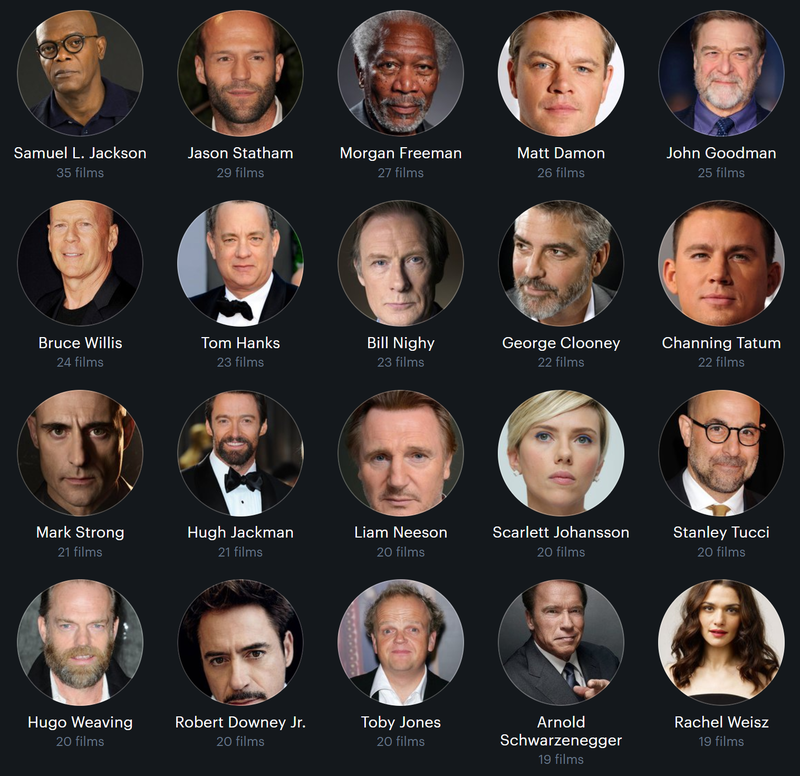 There’s a lot of threads that different characters are following and it’s just a little messy at times. This is in part due to the villains. There’s Davy Jones, who doesn’t appear on screen till almost midway through the film but he certainly makes an entrance, and there’s also Cutler Beckett (Tom Hollander), the Chairman of the East India Trading Company. Cutler Beckett is a different kind of villain, he has power and ties different from your average pirate making him a foreboding presence looming from the shadows. The effects still stand up, especially the work on Davy Jones and his crew, and the battles between the Flying Dutchman and the Black Pearl are still exciting and look great. It’s the exposition that doesn’t always work. Dead Man’s Chest is not a bad film by any means. It just loses a lot of the family-fun/action-adventure vibes present in the first film, making it a bit less enjoyable. 3/5. Newly appointed scriptwriter for propaganda films at the Ministry of Information, Catrin Cole (Gemma Arterton) joins the cast and crew of a major production aimed to bring “authenticity with optimism” to the public while the Blitz rages on. Their Finest was a surprise in the best possible way. It’s funny, touching and doesn’t go for clichés like I thought it would. 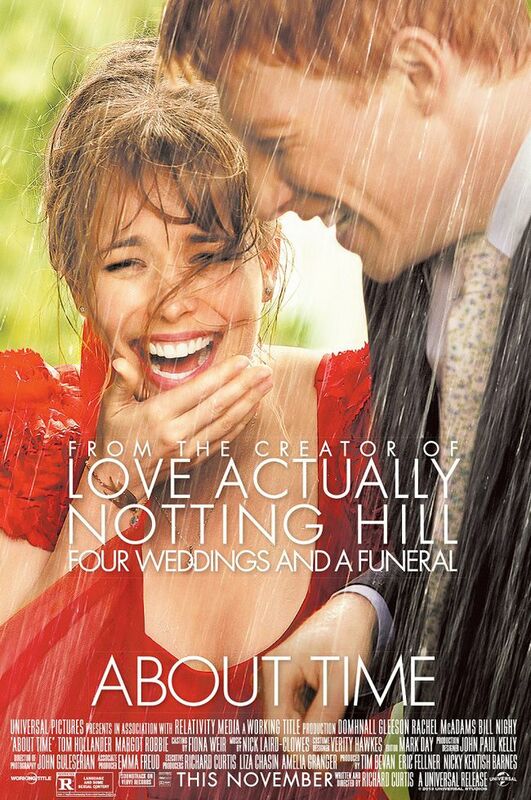 It’s got some brilliant performances, Gemma Arterton is fabulous and Bill Nighy (who plays veteran actor Ambrose Hilliard) is wonderful, watching their relationship grow was lovely to watch. 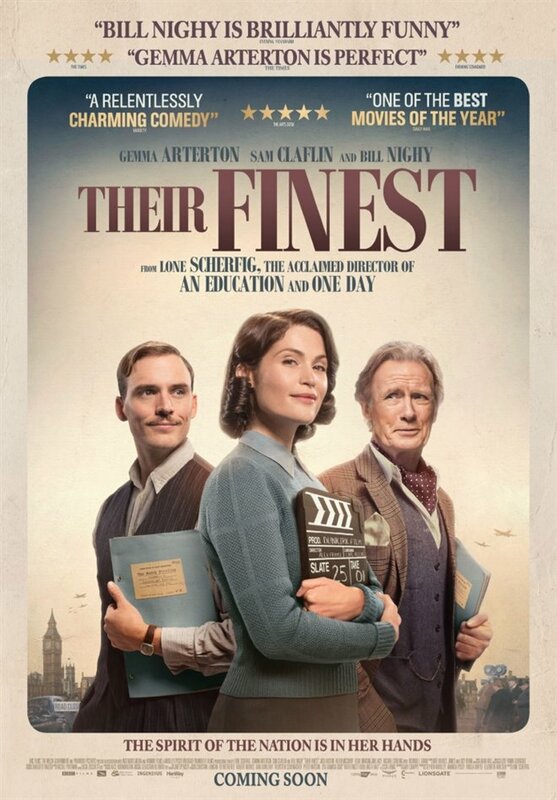 Their Finest is a film about filmmaking and stories. It’s always nice to put the people who make and write films front and centre and seeing how Catrin and Buckley (Sam Claflin) write a film together, working around obstacles like terrible actors and changes in location was great. While those who know next to nothing about filmmaking will not get lost watching it, the small attention to detail when it comes to filmmaking in the 1940’s is delightful. There’s always the threat of the Blitz hanging over the characters but they still find the best in a bad situation and it is that good old example of British resolve. Their Finest is also quite a feminist film, Catrin and Phyl (Rachael Stirling) are only getting the chances they have because young men are off fighting but they get to show they are good at what they do and deserve the recognition. Also it features a perfect example of my favourite theme; media being able to inspire those who don’t usually see themselves in media. Their Finest is a wonderful film that balances comedic romance with period drama. I feel this is pretty much a perfect example of the term “crowd pleaser”. 4/5.